I was pleased that Jerry Brito invited me back as a repeat guest on his podcast, Surprisingly Free Conversations. We talked about network neutrality, spectrum policy, and software patents. I thought it came out really well, and I encourage you to give it a listen (and subscribe if you’re interested in tech policy). Jerry and I seemed to be on the same page on two of the topics, network neutrality and software patents. But because disagreements are more interesting, let’s talk about the issue where we didn’t agree: spectrum policy. Longtime Bottom-Up readers may remember the debate Jerry and I had about spectrum policy back in the Spring. The podcast gave us a chance to hash out those disagreements in an interactive format. This sharpened my understanding of his perspective, but didn’t persuade me. Near the end of the segment about spectrum policy (around minute 43) Jerry concludes that in his ideal world the FCC would auction off the WiFi band and self-deprecatingly describes this as the “market extremist” position. I don’t think auctioning off the WiFi band is a good idea, and I also don’t agree with his framing: there’s nothing about free-market principles that demands that all spectrum be exclusively licensed. The core issue here is over alternative approaches to dealing with over-use of scarce resources. From a free-market perspective, the best situation is one in which the government doesn’t have to regulate the use of a resource at all. This is how we “regulate” sunlight, for the most part: there’s enough to go around, so (with a few exceptions, like tall buildings in New York) you’re free to as much sunlight as you can find without government restriction. However, most resources are subject to scarcity or congestion. And the policymaker has several possible approaches to dealing with these problems. One approach is to create a limited number of exclusive property rights of the use of that resource. This is (mostly) how we regulate the use of land, minerals, cars, pencils, and so forth. Another approach is to regulate peoples’ conduct in ways that minimizes congestion. This is (mostly) how we regulate the use of sound waves, public parks, lakes and rivers, etc. Still another approach is to rely on the tort system: have no formal rules in place, but allow neighbors to sue one another if they behave in ways that interfere with their neighbors. Finally, policymakers might decide that all of these “cures” are worse than the disease and decline to regulate at all, in which case we just have to put up with some congestion. Of course, most resources are controlled using a mix of these techniques. For example, for the most part, pollution is controlled by burdensome regulations of smoke stacks and tail pipes, but some pollutants are controlled by tradable property rights, and (as I pointed out before) the Obama administration’s “cap and trade” proposal is a property-oriented approach to limiting carbon emissions. Similarly, traffic congestion is mostly handled through regulations—stop lights, congestion tolling, parking rules, etc—but some cities also utilize property rights regimes. 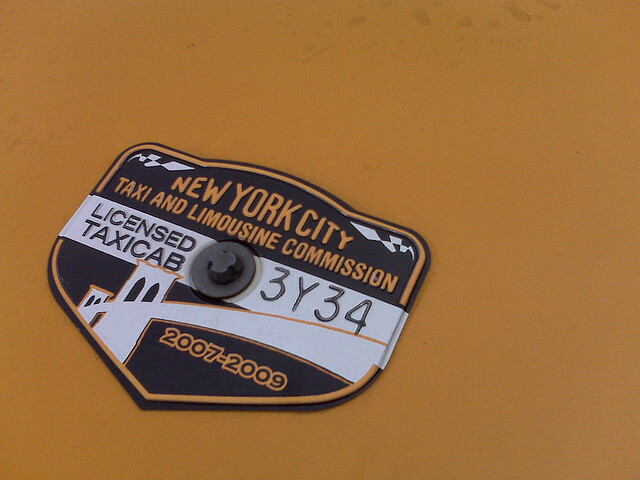 The city of New York, for example, uses a property rights system to regulate the number of taxi cabs on the street. There’s a free market in taxi medallions. They’re bought and sold on the open market, and they’ve proven to be a good investment. Now, you could argue that the “market extremist” position on New York traffic congestion is that the city hasn’t gone far enough in the direction of property rights; that the city should require all vehicles in the city to have medallions. That would relieve congestion while ensuring that the medallions (which represent scarce space on city streets), would go to their highest-valued use. But of course, most free-market advocates (including this one) don’t make that argument. Because there’s nothing about free-market theory that says that more property rights are always better. Sometimes the creation of a new property right is the most efficient way to regulate the use of a new resource. But in other cases, a government-created property right winds up being more burdensome and intrusive than other approaches (like stoplights or congestion taxes). The question advocates of free markets (“extreme” or otherwise) need to ask is not: which property rights should we create? Rather, we need to ask: which set of regulations prevents congestion at the lowest cost in liberty? You want the set of rules that maximizes individual freedom; rules that are clear and predictable and give government officials as little opportunity as possible to make mischief. Taxi medallions are property rights of a sort, but they severely distort the market, giving the government, rather than the forces of supply and demand, power over the number of taxi cabs. So to get back to spectrum policy, the ideal regime would be one in which there was no spectrum rules at all and devices self-organized to avoid interfering with one another. Given that that’s not within the realm of technical possibility, the questions we should ask are: which set of regulations maximizes the freedom of individuals to use the spectrum as they choose? And which set of regulations will lead to the most efficient utilization of spectrum? Jerry’s preferred scheme of exclusive licenses for the entire spectrum doesn’t fit the bill because it puts a thumb on the scale in favor of large, capital-intensive firms that can win multi-billion dollar auctions. (Yes, some firm or charity might win an auction and choose to create a WiFi-style band, but such applications would be very much second-class citizens.) Similarly, a “pure” commons regime doesn’t fit the bill because it only leaves room for small-scale, short-range applications like WiFi. What’s needed is a policy that accommodates both uses. Jerry argues that the government isn’t good at choosing between the two strategies, and so we should let “the market” decide. But the structure of the market—whether frequency bands will be exclusively licensed, or not—is a distinct question from who will own those rights once they’ve been created. The decision that all spectrum will be exclusively licensed is a government choice whose consequences can’t be fully corrected by subsequent market transactions. Jerry’s is an extreme position, to be sure, but it’s not a position that’s dictated by free-market principles. It is surprising to me to see taxi medallions described as a free-market solution to congestion. Much more often I’ve seen them described as a purchased government office, or one farmed from a government monopoly. Neither is an especially free-market practice. The problems medallions aim to solve (I’d thought) were more of the asymmetrical information/fare fraud/armed robbery variety than congestion. You want a cabbie who isn’t going to cheat or rob you, and medallion holders who try it soon lose their very expensive medallions. I haven’t listened to the podcast yet, but I have a small quibble. With this unsupported assumption, we give the game away. This is only a “given” when we assume outmoded radio technology (i.e., radio receivers that a child can build from a kit). Given the extraordinary innovation-killing power of the FCC, ITU, et al., it isn’t surprising that we’re only now seeing the power of ultrawideband, adaptive mesh, etc. A number of industries in their current form depend on the current pathetic state of wireless devices, and those industries spend plenty of money delaying the day when consumers will have a wide range of choices for their media and communication needs. If the FCC ceased to exist tomorrow, the next day there would be chaos. Within months, however, consumers would have the choice of a wide range of services, services which would operate just fine in a no-regulation regime. For those who might be tempted to defend the FCC, why didn’t it turn the whole white spaces initiative over to NIST a long time ago? Is that because NIST has experience in competently evaluating competing technologies, while the FCC has only politics and corruption at its disposal? Jason: I think you’re right that the concern motivating the medallion system (beyond simple rent-seeking) has more to do with fraud control than congestion control. My point is simply that taxi medallions are property rights in the same sense that spectrum licenses are property rights. And since taxi medallions are obviously a bad idea from a free-market perspective, it’s clearly not the case that creating property rights is always the free-market solution. To be clear, I think spectrum property rights are a much better idea than taxi medallions, and the majority of the spectrum should be allocated to exclusive licenses. But there’s nothing in free-market theory that says the entire spectrum has to be allocated that way. Jess: I’ve encountered that claim before and I don’t buy it. The technologies you mention allow us to squeeze more communications capacity from the spectrum we’ve got, but the spectrum is, in fact, rivalrous for long-range communications, and will be for the foreseeable future. There’s plenty to criticize about the FCC, but there do need to be rules about how the spectrum is used. Who needs these? I can’t think of when I’ve needed a high-latency channel recently. Obviating fragile long-distance wireless comms is the entire point of mesh networks. If I might extrapolate current trends a bit, all I need is a low-latency, high-capacity, ubiquitous (and, ideally, mobile) connection to my ISPs’ fixed networks. In a free market (we haven’t had that for telcom in the USA since 1934 at the latest), that’s all anyone would need. There’s a great deal of incumbent (broadcasters, mobile carriers, LECs, cablecos, media, advertising, etc.) carnage between that better world and the one we inhabit, but like most unpleasant cures, the sooner the better. I don’t think your response is strictly logical, anyway. New technologies will give us more capacity, but capacity is fixed anyway? Come again? Who exactly is telling us that feasible innovation in radio tech ceased in the 1950s? The very same conglomerates and bureaucracies that benefit most from the current regime? I don’t ask you to trust me (IANARadioEngineer), but why would anyone trust those who again and again have stymied innovation in this area? Everyone agrees that Wifi is great (how did they let that horse out of the barn? ), but the obvious follow-on, white spaces, has been in foot-dragging limbo for two years even after the FCC approved it 5-0 (which approval was already years after the IEEE had specced “cognitive radio”). Had a more competent and less interested government agency like NIST been in charge, we’d already be able to pick up several-mile-range WAPs at Best Buy, and those of us in rural areas would have a choice other than dial-up and satellite internet. Jess: you probably know more about the technical details than me. I’d like to see the FCC make more spectrum available for unlicensed use, and if I get my wish I hope you’re proven right. Haha, me too! All I want is the chance to be wrong! New York does not have a free market in taxi service for at least two reasons: (1) the medallion system fixes the supply of cabs, and (2) cab fares are regulated by the taxi and limo authority. In a free market the supply of taxis would be allowed to vary, and there would be no price controls, so fares would be market-determined, not fixed by bureaucrats. As you probably know, spectrum rights are actually a new right that was created in 1993. In 1993, Congress granted the FCC the authority to auction off certain parts of the radio wave spectrum. Pub. L. 102-538, Title I, §102. The FCC had broad authority to regulate radio wave spectrum – but the authority to regulate did not include the creation of property, until explicit statutory authorization to do so, in 1993. I don’t know if in the age of digital radio and the internet it still could be said that there is a scarcity of resources, necessitating the creation of a property right. And certainly, prior to 1993, the FCC was still able to regulate the air waves. I actually think that the auction of the spectrum was a chance for the FCC to collect auction fees.